Last month we reported that the contract rate on new home loans dipped below 4 percent in January, based on data released by the Federal Housing Finance Agency (FHFA). 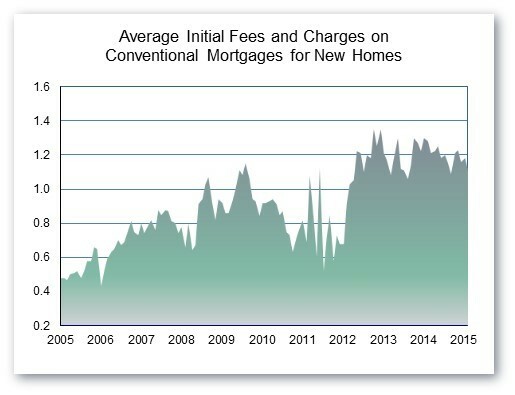 In February, the rate continued to decline, from 3.92 to 3.79 percent, as did the average initial fees and charges on the loans, from 1.18 to 1.11. In both cases, the numbers are the lowest they’ve been since mid-2013. 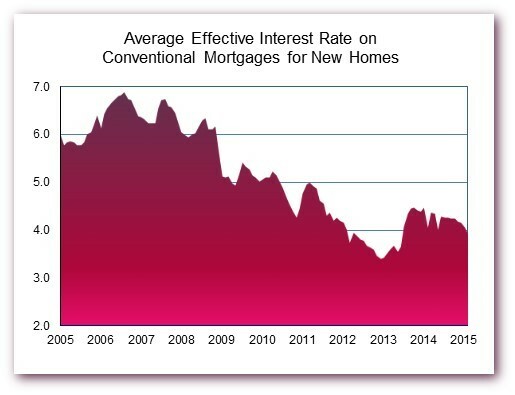 As a result, the average effective interest rate (which amortizes initial fees over the estimated life of the loan) on conventional mortgages used to purchase newly built homes also dropped below 4 percent (going from 4.05 to 3.91) in February—the first time in 20 months the effective rate has been that low. 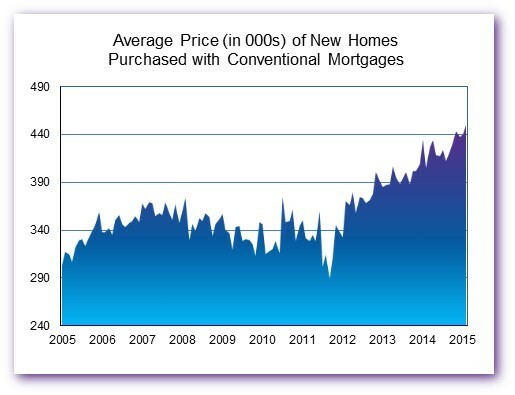 Meanwhile, both the average size of conventional mortgages used to purchase new homes and the average price of the homes, have been drifting upward (subject to normal monthly volatility) and these trends continued in February. The average loan amount increased from $331,700 to $338,600, while the average new home price increased from $440,300 to $449,400. In each case, the February dollar figure represents a record high. This information is based on FHFA’s Monthly Interest Rate Survey (MIRS) of loans closed during the last five working days in February. For other caveats and details about the survey, see the technical note at the end of FHFA’s March 26 news release.